As the robins return to the Cherry Blossom trees, it is a sign that Spring is finally returning to Central New York. 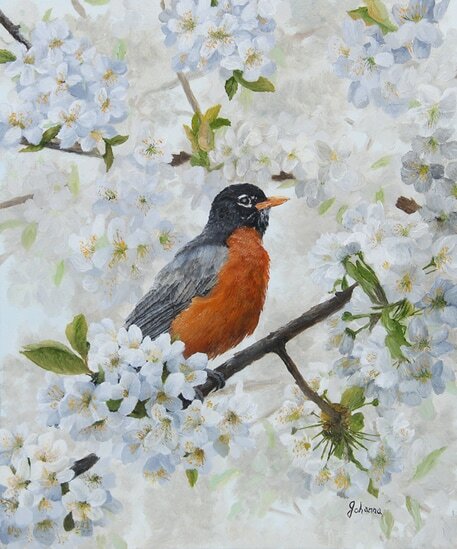 When I decided to paint a Robin I wanted the beauty of the white cherry blossoms to accent the red breast of the robin. He now can be noticed by anyone passing by.